The ruling JD(U)-RJD government in Bihar came under fire on 8 May after the son of a JD(U) MLC allegedly shot dead a 20-year-old student in Gaya because the latter had overtaken his car. MLC Manorama Devi's son, Rocky, shot at the car in which Aditya Kumar Sachdeva was travelling with four friends after the overtaking incident. A bullet hit Aditya in the head. Rocky Yadav is absconding. Devi's husband, Bindeshwari Prasad Yadav aka Bindi, and bodyguard Rajesh Kumar were arrested on Sunday for helping Rocky Yadav escape. The police found a carbine and 70 rounds of ammunition in Devi's home, said Magadh Range DIG Saurabh Kumar. Bindi had been jailed in 2011 for storing 6,000 rounds of ammunition for a banned weapon, according to the Hindustan Times. He said Rocky was assaulted by the students and fired in self-defence. "After all, everybody has the right to self-defence," he said. According to the police, Aditya and his friends allegedly ignored Rocky's signals indicating that he would like to overtake their car. A police officer said: "An infuriated Rocky squeezed past the Swift and stopped a little ahead. He was holding a revolver and hurling abuses. Fearing for their lives, Aditya's friend who was behind the wheel sped past Rocky's car but came under a volley of fire from behind." Aditya was taken to Gaya's Anugrah Narayan Medical College and Hospital, where doctors declared him dead on arrival. Gaya residents are protesting the incident. Gaya MLA and leader of the Opposition, Prem Kumar, said the murder proves the "return of jungle raj" in the state. "Bihar is burning, an atmosphere of fear pervades the state," he said. 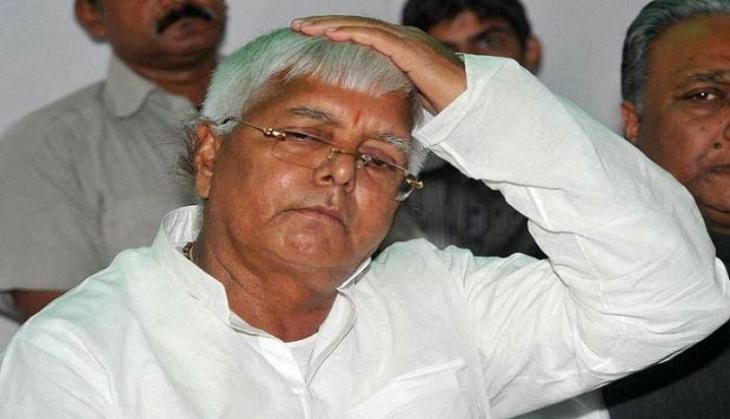 Deputy chief minister Tejashwi Yadav has promised strict action against the culprits "irrespective of stature" and his father, Lalu Prasad Yadav, said: "This was a heinous act, police should act strongly to catch the assailants." JD(U)'s Rajya Sabha member, KC Tyagisaid: "In the past too, leaders of JD(U), RJD and other parties have been arrested (under Kumar's rule). The law is equal for everybody and it will take its course." Police are hunting for Rocky. Senior superintendent of police Garima Mallik said: "Nobody will be spared."